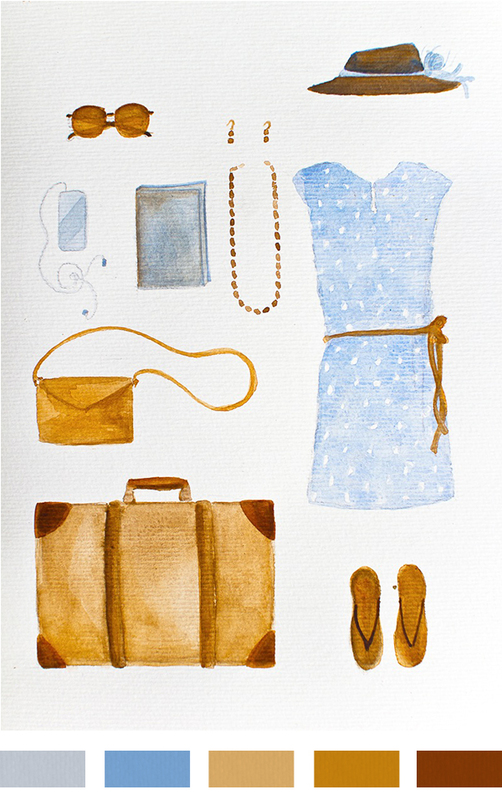 Vintage Travel Outfit, by Serena Olivieri. More of her ravishing art can be seen on her website (her patterns are amazing). This is what I want to wearing this summer, maybe in Italy (ah, I can't but dream!). So pretty. so sweet! love the dress. I really like your blog .. congratulations! beautiful creations! I invite you on my blog .. http://noxcreare.blogspot.it .. let me know what you think .. I'm also a creative! !